Spring is finally in the air! 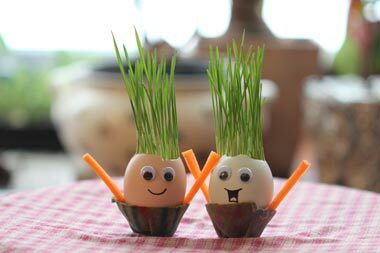 Children of all ages love creating their little egg buddy and wait eagerly to observe the grass in its growing process. (They'll jump out of bed each morning to check on them!) It's a great opportunity to teach children all about the plant systems. Get started on this fun and educational activity today! Water the seeds and continue to water every couple of days and enjoy watching some grassy hair grow!